When buying defence systems governments are sometimes afforded the luxury of looking into the future before they commit to a course of action that will have long-term consequences. For example, when they buy a US-made weapon they know that US forces only support the weapons they operate. This means that essential technical support is withdrawn when a system or sub-system is no longer in use because it has been deleted or upgraded. Other users must either keep up or drop out and either scrap their weapons or see them fade away into technical and operational irrelevance. This is the choice that buyers of the F-35 will have to make all along the aircraft’s estimated 50-year operating life. 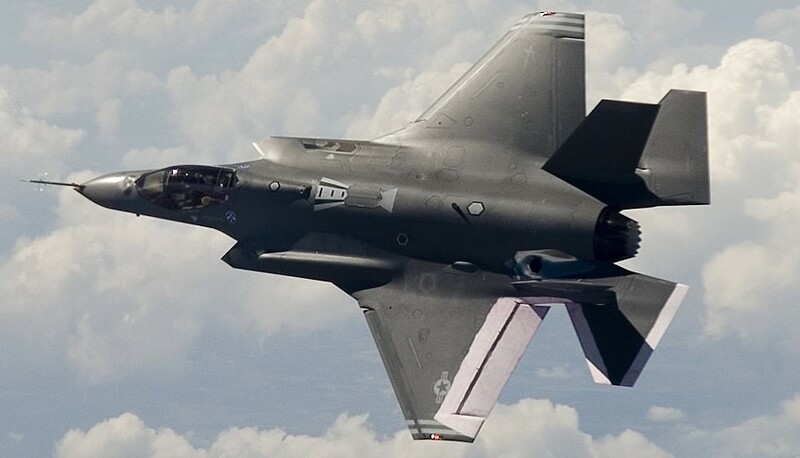 Each time the US military decides a modification or upgrade to its F-35s, foreign customers will have to follow suit, at whatever cost Lockheed and the Pentagon decide, or else see their aircraft become obsolete as US technical support shifts to the newer version. In fact, the situation will be more serious in the case of the F-35, as export customers will not have access to the aircraft’s source codes, nor to its more advanced maintenance methods and equipment, because all but the most basic maintenance will be carried out by Lockheed Martin in its own facilities in the United States. During the cold war the United States had a vested interest in keeping allies’ fighters as effective as possible during the Cold War, even if profits suffered. This is one reason why in the past Canada could upgrade Cf-18’s with a fair degree of national autonomy. To the extent that this is no longer possible then national sovereignty will be eroded with the purchase of the F-35. The Pentagon estimates that, over its entire 50-year service life, its fleet of 2,443 F-35s will cost about $1.51 trillion (as in $1,510 billion) to buy and operate. This works out, by simple division, to an average of $618 million for each and every aircraft it buys. This figure, based on a “calculations made by the Cost Assessment Program Evaluation (CAPE) office, includes operating and maintenance costs of $1.11 trillion, including inflation, and development and procurement costs of $332 billion for the aircraft, plus $63.8 billion for the engine,” as Reuters reported in April. And this is assuming costs, which have already doubled in a decade, do not increase further. By the same token, operating and maintenance costs work out to $454 million per aircraft ($1.11 trillion/2,443). Buyers, especially including the USAF, already shell-shocked by price tags of up to $200 million for early production F-35s, may be reflecting on the likely cost of operating the aircraft over several decades. The widely discussed 'financial cliff' which the US government seems intent on jumping over will have affects even greater then that of the so-called sequestration. The F-35 is already at the front of the line for any defence cuts. The Canadian government is in a position to look into the future and to decide whether or not it wants to attach itself and the defence budget for decades to come to what may well be a classic defence sinkhole.